Thanks to innovative use of VR in the classroom, engineering students can get ‘hands-on’ experience before leaving school. With advances in virtual reality (VR), teachers are now encouraging students to put down their textbooks and pick up a headset. 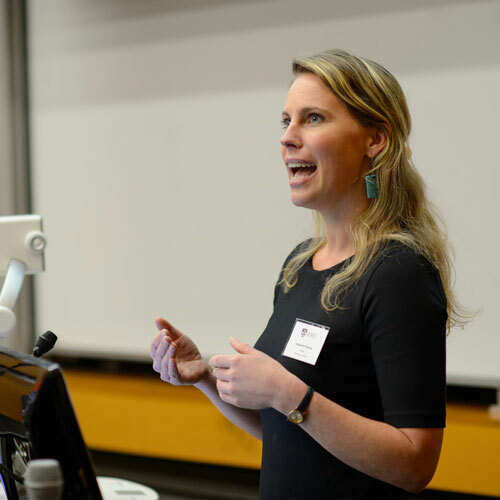 Dr Jacqueline Thomas, a humanitarian engineering lecturer at University of Sydney, said it’s especially useful for disciplines where, due to safety concerns or practicality reasons, it’s hard to give students hands-on experience. “Construction engineers are using VR to do site inspections. Chemical engineers can use it to conduct experiments and observe chemical reactions at a much closer range than they would normally be able to,” she said. This ability to enhance a student’s understanding of engineering work is one reason the use of VR in the classroom is growing by leaps and bounds. Thomas uses VR through the University of Sydney’s new Immersive Learning Lab, equipped with 26 high-powered PCs and Oculus Rift headsets, to allow her students to understand and experience field work before they leave school. But beyond that she said it engages them on an emotional level – an important factor for getting students interested in humanitarian projects. For example, some of her students recently ‘walked’ through an informal settlement in the Philippines. The community sits next to a large rubbish dump and many residents earn less than AU$2 a day. “A lot of the students found it quite confronting,” Thomas said. The main objective is to encourage students to think strategically and match theoretical course work to their observations, much like they would do as a graduate. Thomas said she hoped students gained a better understanding of the complexity and interdisciplinary nature of engineering projects from their virtual reality field trips. “It’s testing their observation skills, their analytical skills, and then their ability to look at and communicate complex systems,” she said. Thomas said she finds it useful for conducting engineering needs assessment with students because videos can be paused, rotated, expanded and replayed. “If you were actually there, you probably wouldn’t be able to pick up those details because you can’t really spend a lot of time in someone’s house or looking inside their toilet – that can be invasive and difficult,” she said. Although VR is currently limited to sights and sounds (smell-a-vision still has a ways to go), the immersive experience is appealing to other disciplines as well. One colleague of Thomas’ uses the lab to show videos of construction sites and wastewater management projects for environmental engineering students. Another colleague in aeronautical engineering is using 360º drone footage to do flyovers of geological features. “This kind of training not only increases students’ awareness about what an engineering role actually entails, thus preparing them for post-grad work, but it’s also engaging them,” Thomas said. What happens behind the scenes of the world's best animation?